Yanique Curvy Diva is the latest Dancehall entertainer to amass one million followers on Instagram. The media vixen-turn-recording artiste entered the million club on Friday joining the ranks of fellow artistes Spice, Popcaan and Shenseea. “Thanks a MILLION for showing me love 💙😘😘😘😘😘😘😘😘,” Yanique wrote on IG. “It’s the perfect day for me to hit a million supporters 😁 A day that celebrates the strength of a woman 💪🏽 So to all my amazingly strong, intelligent, loving, independent, beautiful women out there Happy Women’s Day,” she continues. 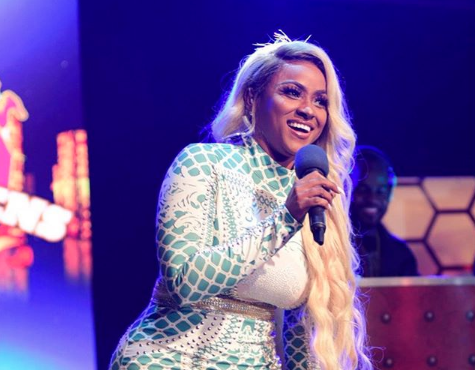 The former Magnum Kings and Queens of Dancehall has been making strides with her breakout single Lifestyle and new songs Unfair Games with I-Octane, Mineable and Touch Down freestyle. Last year Yanique Curvy Diva Barrett signed a multi-million dollar deal that made her the official brand ambassador for the recent Lasco manufactured and distributed Konka Energy Drink.